Pinnacle Engineering was retained by a rail client to ensure that the railroad’s fueling operations conform to Spill Prevention, Control and Countermeasure (SPCC) regulations. A 10,000 gallon containment tank, covered by a concrete slab, had previously been installed to capture possible spills, but storm water contaminated from oil drips and minor fuel spillage had to be constantly pumped from the tank. 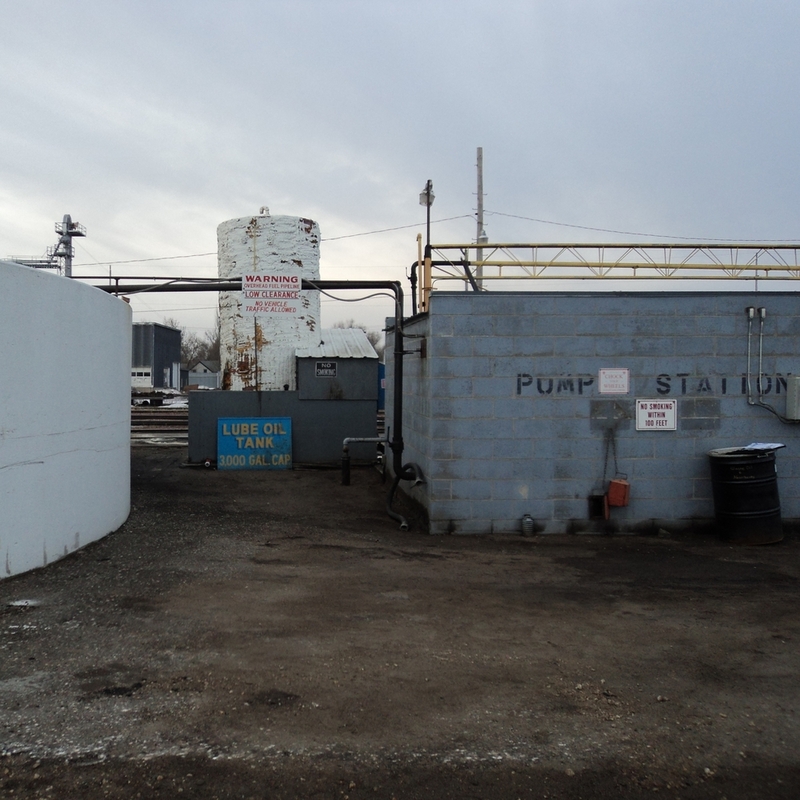 The loading facility is located in an open area prone to freezing, and was a significant distance from an oil//water separator located in a maintenance building. Pinnacle explored alternatives to pumping contaminated storm water and designed an upgrade to the client’s in-yard fueling facility that allows year-round fuel loading and meets all federal fuel containment requirements. Pinnacle retained a contractor to implement the design, which included the installation of a new fuel spill collection system that captures spills from locomotive fueling (including track catch basins) and an expanded fueling pad area that also captures any spills during the transferring of fuel from tanker trucks to the fuel storage AST. Spills from these operations and collected stormwater are directed through new piping plumbed to the existing containment tank. Due to the location of tracks and underground utilities, the design included directional boring of a 2” high density polyethylene (HDPE) conduit to the maintenance building (needed to empty the containment tank) rather than open trenching through the rail yard, saving the client significant expense. This step also limited the amount of contaminated soils encountered, limiting both worker exposure and treatment/handling costs. The catch basins and piping system were installed with a heating system that allows for operation in the winter months, and automatic pumps were installed to pump both rain water and possible spills and oil drippings 450 feet to the facility’s oil/water separator. As a result of these improvements, the client now operates a fueling facility that is in compliance with SPCC regulations, operates year around, pumps rainwater automatically as needed, and shuts down automatically in the event of a spill.